At the center of healthy communities are safe, accessible and well used parks. 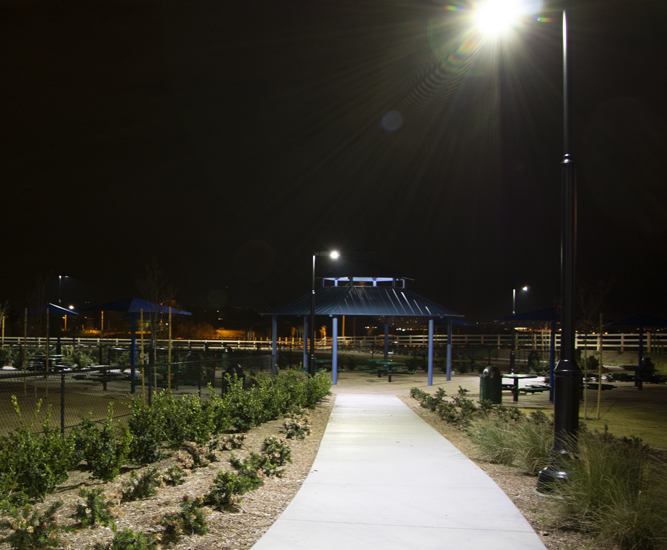 From dog parks to playgrounds and more, First Light products provide sustainable and cost-effective light to increase usability and enhance safety in parks to encourage more active living. Light is a huge contributor to a sense of safety for park users. 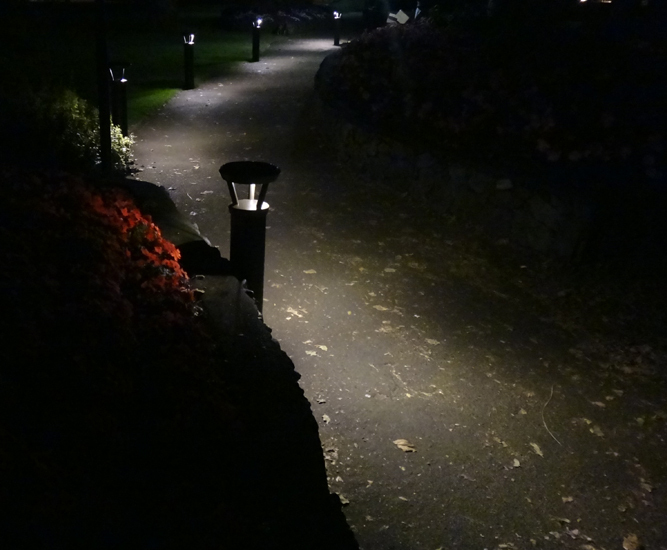 With a recent study showing that enhanced outdoor lighting can reduce crime by up to 39%, increasing lighting can greatly increase the use of parks. While solar allows you to avoid ongoing electrical costs to light your park, the main cost savings is in a much simpler install. Solar lights means that you can avoid the cost and disruption of trenching for wires, which usually runs at $25 a foot at minimum. Solar lights eliminate the need to trench for wires which reduces installation and remediation costs. 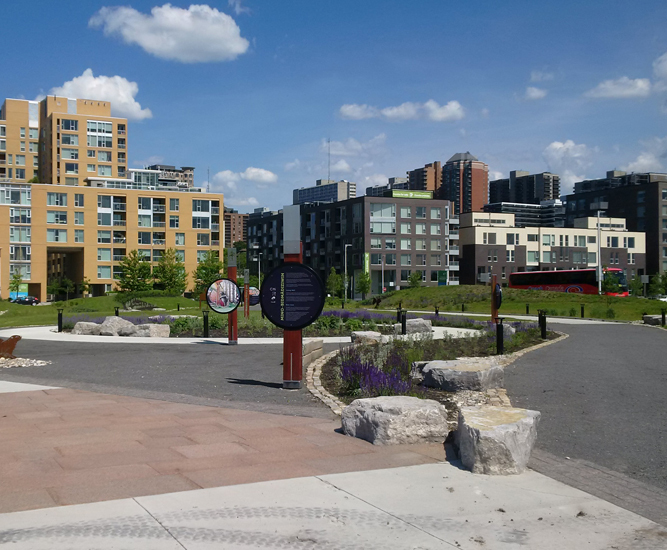 It also reduces the disruption of installation for park users and allows for more green space to be preserved. Solar lights mean that you don’t have to rely on electricity from the grid, saving your community greenhouse gas emissions. We also source the materials for our lights as locally as possible to make them as sustainable as possible. Providing lighting can help increase community use of parks. Whether it’s extending the usable hours or creating a better sense of security, parks are more inviting to users with light during the evening and aesthetically appealing fixtures during the day. Our fixtures are made from marine-grade, low copper aluminium with a TCIG powder coat which allow them to last through a variety of challenging conditions. They are powered with a high-performance lithium battery that has an 8 – 10 year expected lifespan. Shade happens. That’s why all of our solar lights are manufactured with adaptive technology to adjust their light output based on their surroundings so that they are always on when needed. 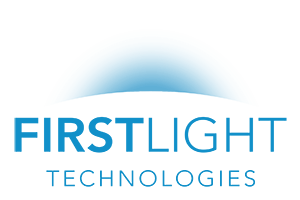 Clark County installed 73 of First Light’s IPL Series luminaires, saving an estimated 16,000 kWh annually. 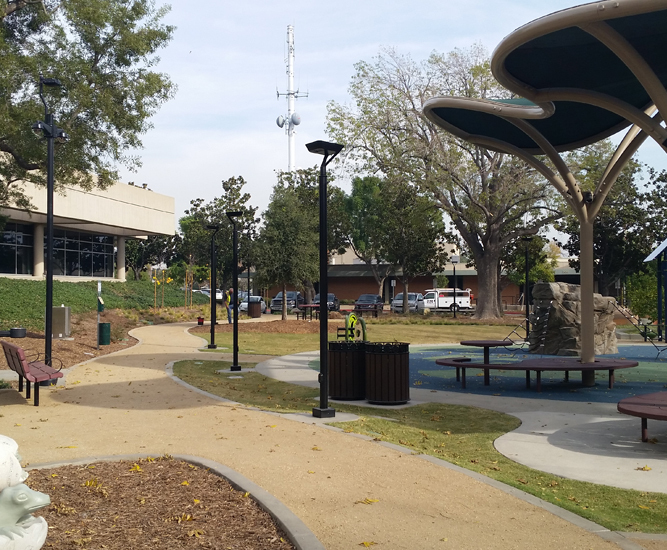 A long awaited park in California needed light for safety.